It's officially summer, although it was raining yesterday, the sun is beaming today in the beautiful blue sky. As I'm writing this I hear someone's lawnmower, for me, summer is well and truly here, the smell of freshly cut grass is summer. 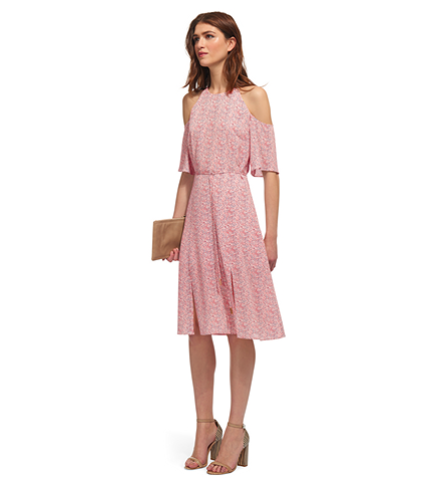 Dresses are probably the ultimate item of clothing to have in your summer wardrobe, but with so many dresses around it can be hard to pick one just right for you. There is nothing worse than a dress that is clinging on to me. Summer dresses should be floaty and breathable in my opinion. I'm not much of a dress person but do love a good dress. I have been looking online and have seen some lovely dresses that I would consider a 'summer dress'. First up is this New Look dress, it's a bit low cut for me but very cute, more like a pinafore dress so you can wear a t-shirt or top underneath. The below image is from the ASOS site, but if you look on the New Look website they have styled it with a top. 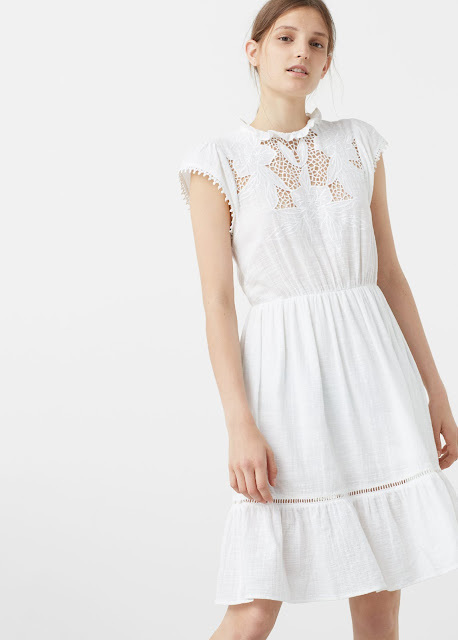 Next is this cotton dress from Mango, it has the most beautiful details on the top half of the dress, it's floaty and pretty....is this the ultimate summer dress? If you're looking for something more breezy, the below dress is lightweight with a swing style, no chance of it clinging onto you. 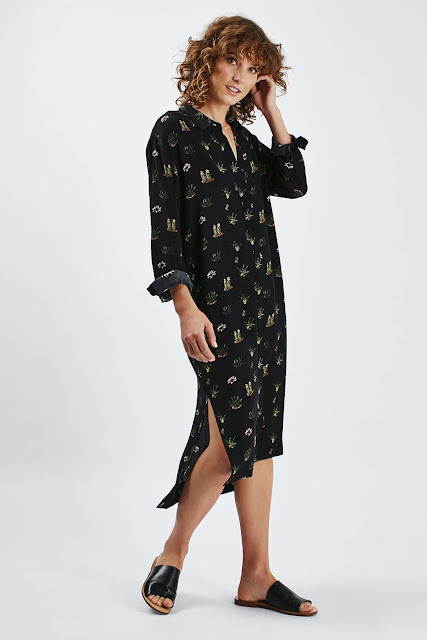 If however you want your arms covered and want a little more length in your dress, I would go for a shirt dress. This one from Topshop with its cute cactus design would be perfect even after summer. Wear with sandals in the summer, change to boots for winter and pair with a leather jacket. 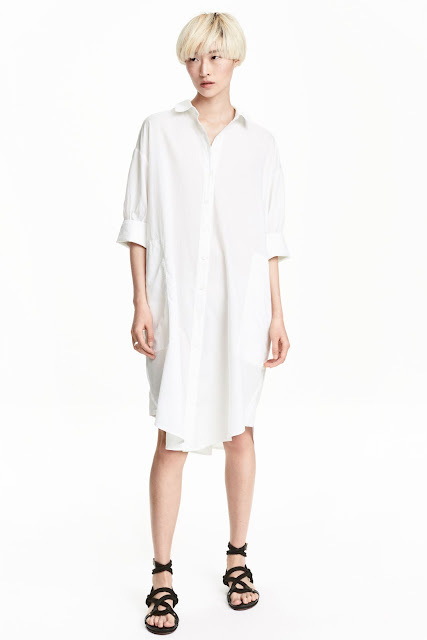 This white shirt dress from H&M is also a favourite of mine I've seen. If you prefer a maxi dress, try this white Vila dress from ASOS. It screams out summer! Lastly, if you need a floaty dress for a wedding, evening or if you're looking for something more elegant, this is the dress for you, very feminine. I'm hoping for a good summer this year and looking forward to plenty of sunshine! Thank you for reading and here is some inspiration from Pinterest.